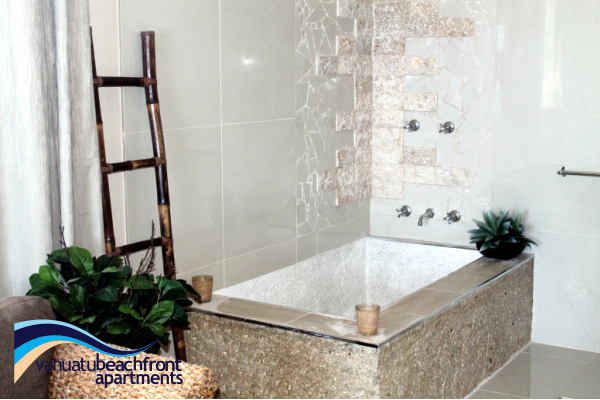 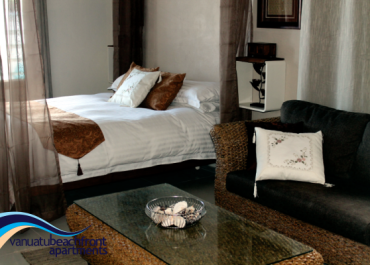 This fully appointed 160m2 penthouse apartment is just what you need for an exotic week away with your close friends or extended family. 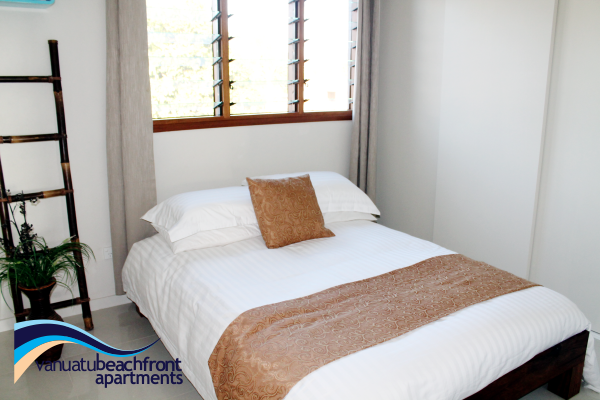 With 4 large size bedrooms, there is fixed bedding for 8 people together with an additional 2 on our comfortable innerspring sofa beds. 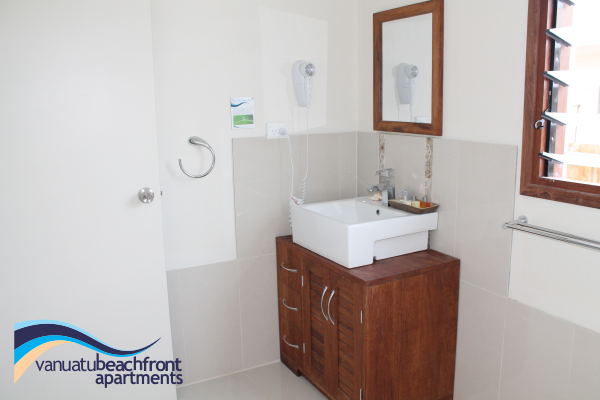 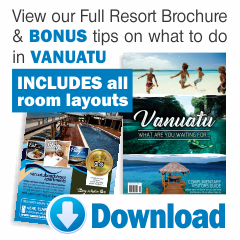 When you stay in the sublime penthouse accommodation at Vanuatu Beachfront Apartments, you’ll enjoy a holiday experience that is truly beyond comparison. 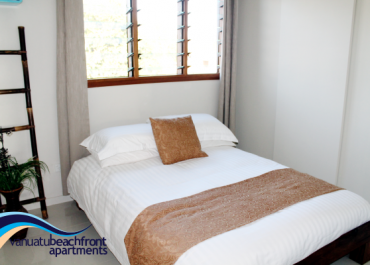 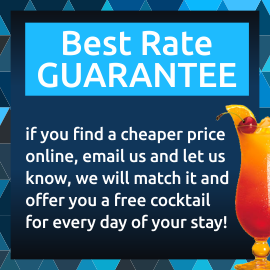 Book online with us today! 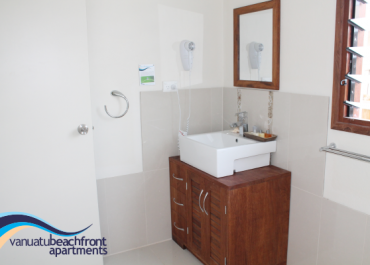 The master room is more of a parents retreat with sitting area, TV with media system and an open air ensuite boasting a large custom made bath. 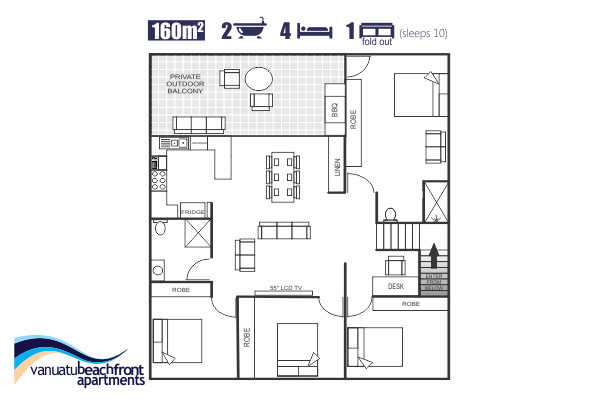 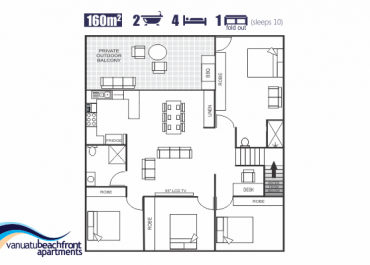 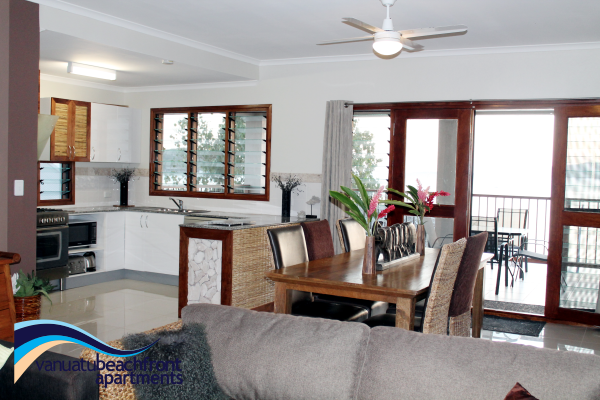 The open plan design of the penthouse apartment makes it perfect for socialising with friends or family. 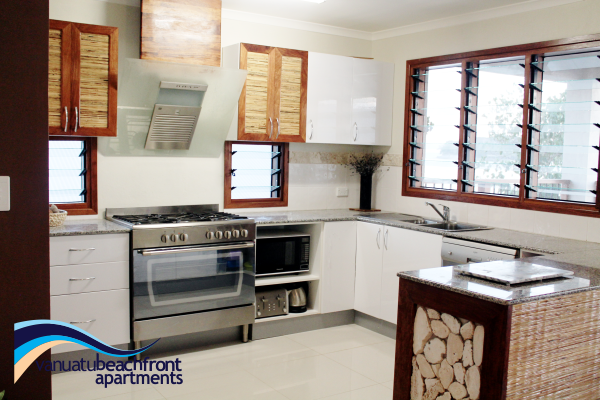 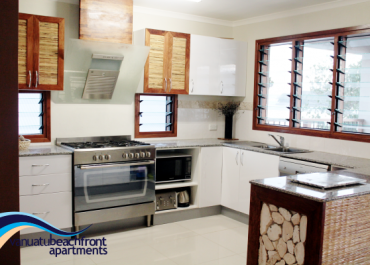 The gourmet kitchen boasts granite benchtops, large 900mm chef’s oven, dishwasher and servery area. 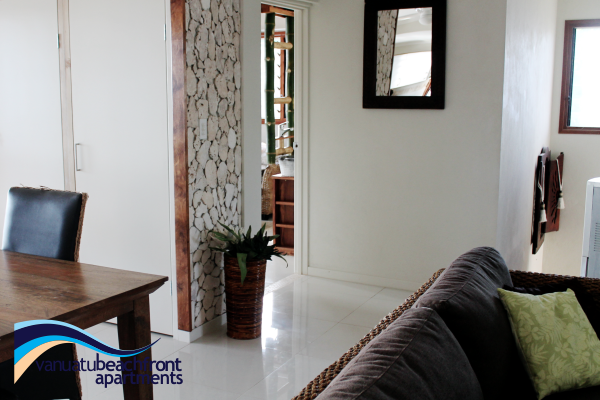 In the main living area is a 55″ LCD TV with FREE on demand movies and television shows. 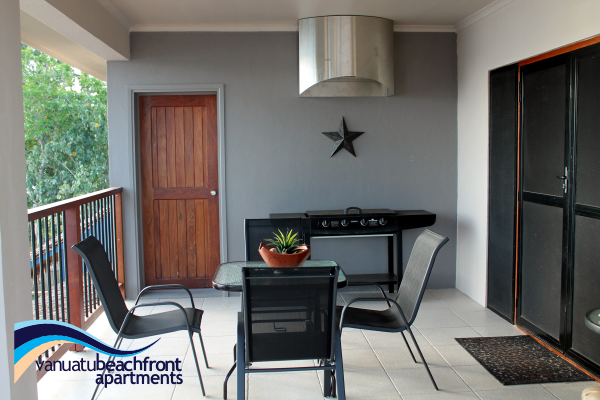 The real gem of this apartment is the view you’ll experience from the top floor with your own private spacious balcony with BBQ. 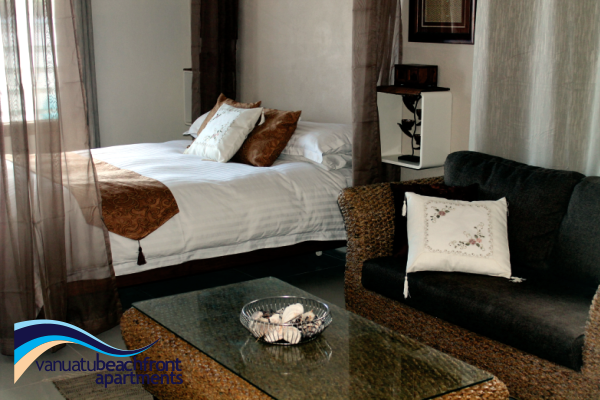 You’ll wake up feeling like royalty!